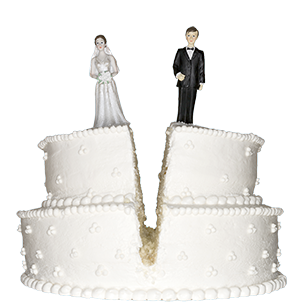 Divorce can be an arduous and unpleasant process. You need effective advocacy during a time of such potential stress and uncertainty. The legal team at McBrayer provides high-quality, value-based representation for individuals who encounter divorce. As counselors and advocates, we consistently strive to achieve positive results in a timely and cost-effective manner, all while protecting the rights and interests of each client. We want to help you make a successful transition to life after divorce. When you choose our law firm to represent you, we carefully review all aspects of your case, including your and your family's personal and financial situations. We will also discuss your goals and how you see your life developing in the upcoming years. We will then develop a strategy to achieve your goals on issues such as child custody, visitation, time sharing, child support, spousal maintenance and property division. Our lawyers are experienced in divorces involving complex property division issues, including valuation and ownership of businesses and professional practices, as well as tracing claims for non-marital property. Whenever advisable, we seek to minimize costs and maximize results for our clients through proactive negotiation techniques, including mediation. This approach not only helps keep legal costs reasonable, but reduces the emotional stress that can accompany the divorce process. In the event litigation is necessary, however, our Kentucky family law team has extensive trial experience, and is immensely qualified to represent you effectively at trial. To schedule a consultation with a Lexington, Greenup, Ashland or Louisville divorce attorney, contact McBrayer.